﻿ Hey you need to login! You need to login ! 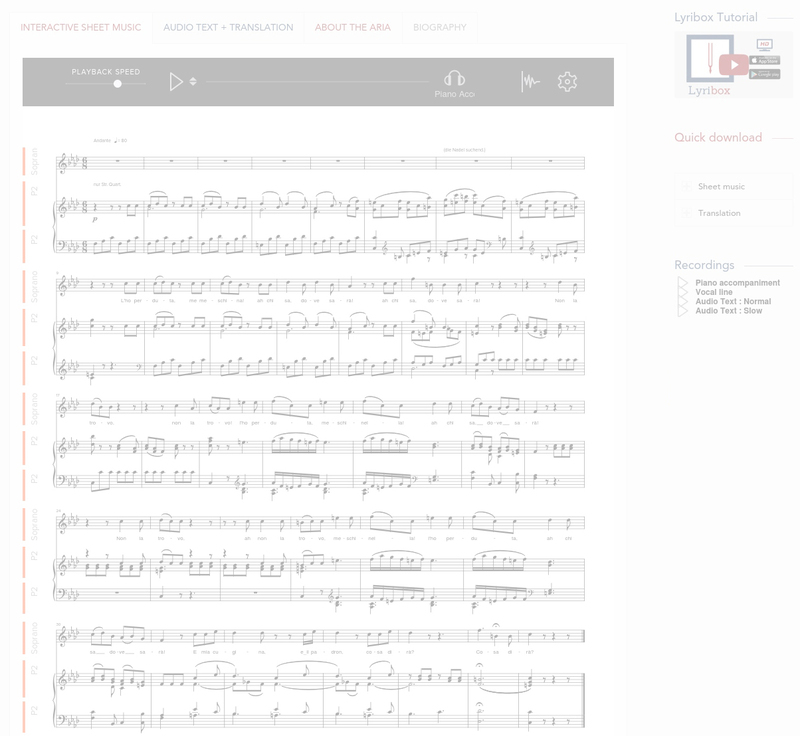 Self-reliance is the most valuable asset for any singer, and Lyribox provides all the elements necessary to learn for themselves notes, text, correct pronunciation, and in due time to explore as wide a repertoire as possible. With our tools students, professional singers, coaches and accompanists can start learning alone, enabling them to make more productive use of time with their teachers and coaches.